It’s been a good few days. Yesterday, despite the fact that I had no nanny, no husband, and four kids to contend with, I was moderately productive. I got a shower (for the second day in a row! Whoo hoo!). The kids all got clean clothes. Laundry got done. 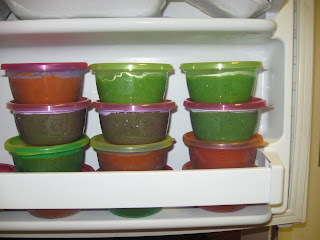 Baby food got made. We even got out of the house. It was still a hard day, but it was a good day. I had promised J that we WOULD get out of the house. So I started planning first thing in the morning a way to get out of the house. And after the first feeding of the morning, I thought, “Okay, we’ll leave soon…” Except, then Abby and Ellie fell asleep and I remembered that whoops! It’s naptime. And I put Sam down for his nap, too. Thanks, girls, for reminding me. Also, J needed breakfast, duh. 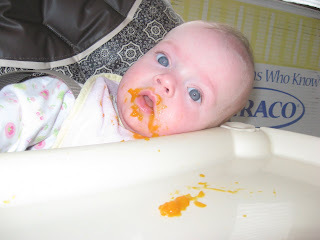 So I made him breakfast and while I was at it, I thought I should take the opportunity to steam some carrots and bake some sweet potatoes for some baby food while J was engrossed in “Walking with Dinosaurs” and the babies were sleeping. 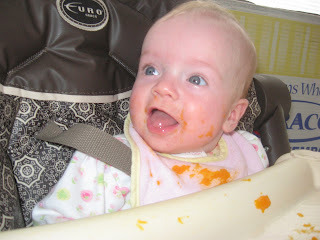 SO, I stayed in the kitchen and worked on some baby food. 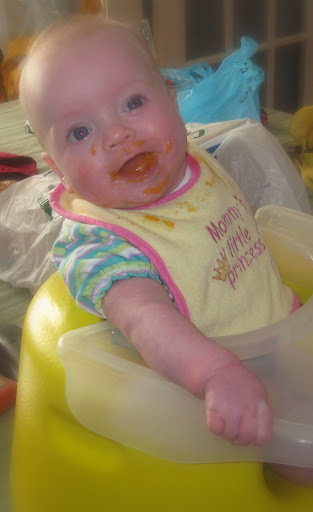 By the time we were done with carrots, it was time to feed actual, you know, MILK, since the carrots weren’t actual nutritional substance for the babies (not yet anyway) and they were positively STARVING (did I mention that feeding them solids takes FOREVER?). I fed them and then fed J and never did get around to feeding myself. Then I got emergency back up bottles ready just in case, got the diaper bag together, the stroller in the car, the car sets put in the car (Seth had taken them out when he’d needed more space in the van for something for some reason last weekened), got everyone loaded into the car at at 3pm, 6 HOURS after the thought of leaving my house had first crossed my mind, my four children and I finally left the house. And now I’m not sorry about our forced quarantine for the last 6 months, because we are a giant walking FREAK SHOW. I can’t tell you the number of people who stopped to ask “Oh! Are they triplets? Are they identical? How many girls/boys? Do you have any other children? [please note, J was standing RIGHT THERE NEXT TO THE STROLLER] Isn’t it nice that you got it all done at once? [who says I’m done?] Are they natural? [who ever heard of an unnatural baby?] Were you doing fertility treatment? [who’s business is this??? ]” It’s unbelievable how many people actually asked such questions. MOST people, thankfully just said, “God bless you, what miracles you have” or something to that effect, but AT LEAST half a dozen people took it a whole lot further than that, which is so not okay. I had an agenda, people. Okay, not really, but I could have had an agenda! What if I’d had things to get done? What if I wasn’t just out of the house for the sake of getting out of the house? What if I truly had things I needed to accomplish and you just ruined my ability to do so? Gah! There’s a piece of me that kind of enjoys being special, I’ll admit that. But most of me really HATES attention. Particularly from strangers. And I despise being the walking freak show. It’s hard enough walking around the neighborhood and getting all sorts of attention from people who KNOW us, but to get all that from people who DON’T know us? Oy. Quite a contrast to back when my fridge was full of milk. The times they are a-changin’! 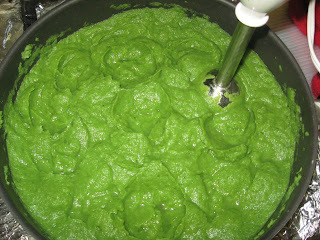 Tonight I pureed a bunch of broccoli. I’m on a roll! We’ll see if they like it. I’m betting they won’t. 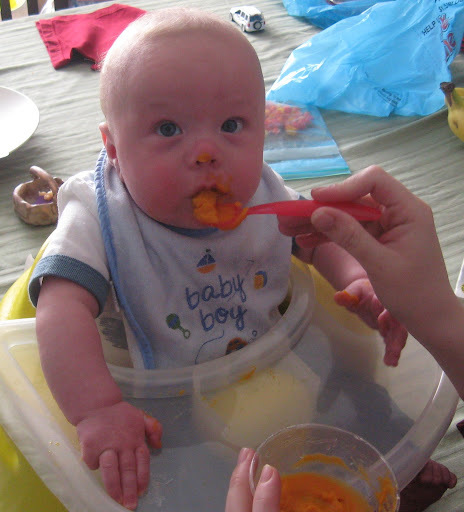 Today, they expressed a definite preference for sweet potatoes versus carrots, even though Seth can’t tell the difference between the two in a blind taste test! 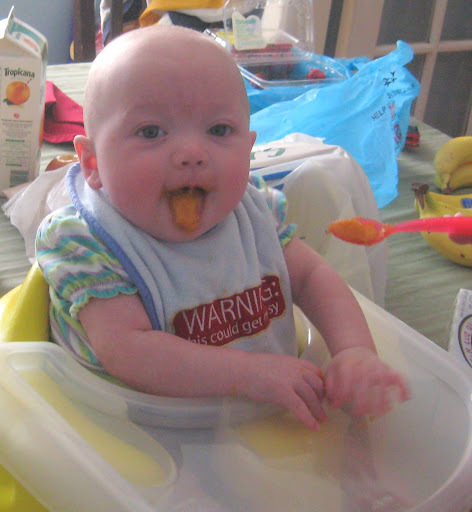 They don’t like bananas much (I’m betting it’s the texture they don’t like), but we’ll keep trying it. We’ll try broccoli in the next couple days.